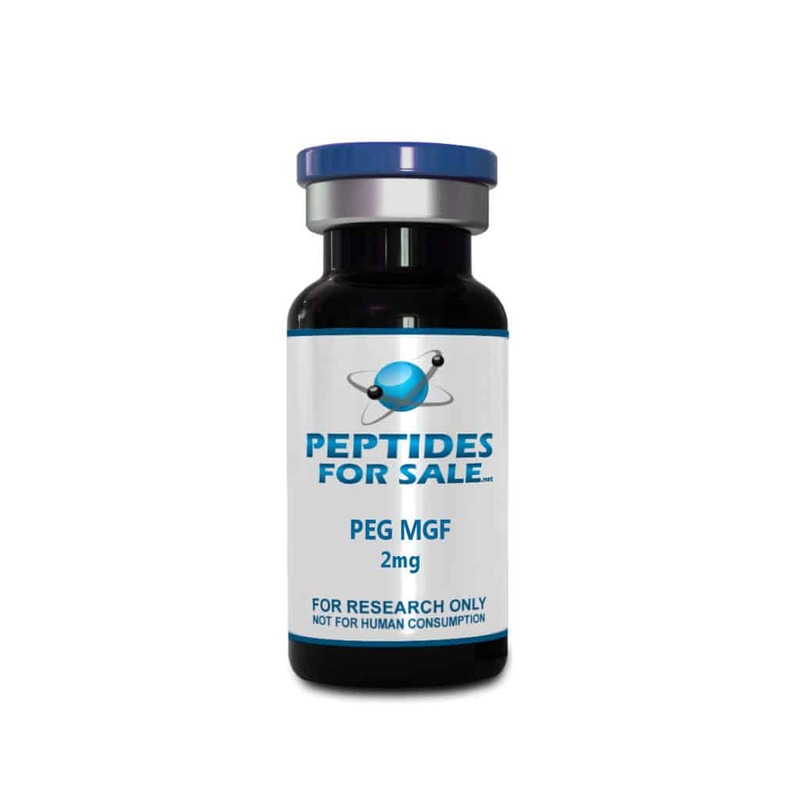 Buy PEG MGF at Peptides For Sale. For the best quality peptides and research chemicals, Peptides For Sale has what you need. PEGylation is the phenomenon whereby a Polyethylene glycol structure (PEG structure) is attached to a larger molecule such as MGF. The PEG forms a protective layer around the larger molecule to enable it to pass through the bloodstream without any breakdown. Studies show that PEGylated MGF results in a more stable MGF in the bloodstream. MGF on its own cannot travel through the bloodstream without breaking down. It will require a form of modification if it is to last in the bloodstream and this is where PEGylation comes into play. Natural MGF does not enter the bloodstream, and synthetic MGF only lasts a few minutes in the bloodstream when injected. With PEGYLATION, the MGF is able to travel in the bloodstream without any breakdown. This is because the Polyethylene glycol acts as a protective cover that shields the peptide just enough for it carry out its biological function.